Seventeen-B, Please! – Giles Corey Brewing Co. While our Oktoberfest suffers a yeasty onslaught, supplies have been procured for the next brew. Batch #30 will be an American style Golden Ale (#6B Blonde) utilizing an interesting assortment of malts never before exploited at GCBC. 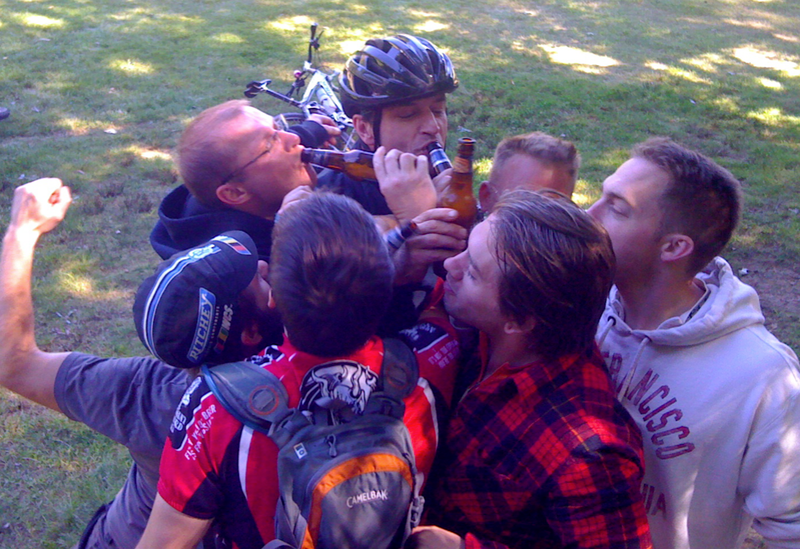 Our last Golden Ale, batch #17, was a delicious post-ride gulper and a tourist favorite. Ten gallons disappeared a little too quickly. Some speculate that a case was taken into evidence at the CPD for being too tasty. Hate to say this but it looks like you are play splugie. You were just a few feet away drinking BBC with your NEMBA cronies. Welcome to join us next time as long as it’s not rigid. About Giles Corey Brewing Co.